A) (… You hastily and promptly declare those who refuse Quranism and Quranist notions as non-Muslims or disbelievers … what would be the difference between Quranists and ISIS members, then?! …). C) (… Can a Muslim declare someone else in person as an infidel? I ask because my friend is a Sufi who worship at saints' mausoleums and tombs made holy by Sufis … I told him that this is polytheism but he refused to believe me and accused me of apostasy and I retorted by accusing him of being an apostate as well … I have read that you say that all peaceful people are Muslims in terms of behavior and demeanor, but my friend's worship and sanctification of tombs and dead people is insupportable to me when he talks of it to me, and I grew tired of him …). We reply to all such questions below. 1- Declaring others as disbelievers is an essential part of both earthly, man-made, fabricated religions and the celestial, divine religion as well; Jews declare Christians and ''Muslims'' as disbelievers, and all people of different Christian denominations declare one another as disbelievers and declare ''Muslims'' as such. Likewise, ''Muslims'' declare others as disbelievers, Sunnites declare Shiites as disbelievers and vice-versa, and the same applies to Sufis. Followers of each group, doctrine, or denomination confiscate or monopolize truth and declare others outside the circle as disbelievers. 2- Within such mutual accusations of disbelief by earthly, man-made, and fabricated religions and their clergymen, there are varying degrees of declaring others as infidels. For instance, followers of Sufism and Protestantism are less severe and less frequent in declaring others as disbelievers; the exact opposite is found in Middle-Ages Catholicism and today's Sunnites who exceed in declaring others as disbelievers and would kill them if they forsook faith, accused of heresy or apostasy. Shiites, on the other hand, never exact punishments of apostasy as long as they are outside circles of rule and authority, but once they reach power, they apply such punishments, as in the case of Iran. Let us remember that Iranian Shiite clergymen judged that the British novelist Salman Rushdie is to be put to death. Orthodox Coptic Church in Egypt punishes those who forsook their faith by torture inside monasteries. The reason behind all this is that the clergymen in all earthly, man-made, and fabricated religions manipulate their creeds, monopolize and confiscate what they deem as the ''absolute truth'', hate those getting out of their control and blind obedience, and feel bound to protect their power and authority by terrorizing and punishing others to make other people their slaves. 3- Islam (the Quran alone) as a divine, celestial religion has no clergymen of any type; the relation between believers and God is direct without mediators of any sort and one guides oneself or misguides oneself as a personal, individual responsibility. Hence, Islam in the Quranic verses declare others as disbelievers in a different way in comparison to the way of clergymen; the Quran declares the traits, epithets, and descriptions of infidels and disbelievers, and not persons by their names, using expressions as follows: (those who disbelieve, disbelievers, the criminals, the sinners, the polytheists, etc.) within the framework of reform call, sticking to the rules of 1) "no compulsion in religion" and 2) God is the Sole Judge of religious matters in the Day of Judgment. Because it is a call for reform, we read in the Quranic text terms referring to disbelief and notions under it and how this leads to eternal punishment in Hell, and this is parallel to the descriptions, traits, and epithets of true pious believers who will live in eternal bliss in Paradise. Hence, God in the Quran talks about traits and acts leading people either to Hell or to Paradise in the Hereafter. Since such discourse in the Quran is addressed to those people living, we deem this as a call for everyone to reform and rectify themselves, addressed to all people in all eras and locations. Such Quranic discourse warns against certain acts and traits to be avoided and their doers to repent lest they would enter Hell and entices persons to stick to other certain acts and traits to deserve to enter Paradise. In this Quranic discourse, the call to discard traits and acts of disbelief always precedes the call to believe in the true faith presented in the Quran, reinforcing such belief by linking the call for belief to the belief in God: "…Whoever renounces tyranny and believes in God has grasped the most trustworthy handle; which does not break. God is Hearing and Knowing." (2:256). Tyranny in this verse means in Arabic ''Taghut'', a word that signifies all discourses (e.g., hadiths) that call for sanctifying human creatures worshipped by some people; e.g., mortal deities such as prophets, messengers, the so-called saints, imams, sheikhs, clergymen, scholars, monks, priests, etc. By renouncing Taghut beliefs, one can realize the belief in God alone without other deities. That is why the only true testimony in Islam is "There is no God but Allah", without any other words added to it mentioning mortals. This testimony begins with disbelief in all gods to assert the divinity of Allah (God). 4/1: As for living people, we, Quranists, explain traits of disbelief/polytheism in terms of behavior: such as aggressions committed by terrorists who perpetrate indiscriminate killings of innocents, tyranny of those MB terrorists who said to Egyptians in 2013: "we are to rule you, or kill all of you! ", and deceit committed by terrorist sheikhs and politicians who deceive gullible youths by talking to them about terrorist crimes as 'jihad' and manipulate God's religion as means to attain power and authority and wealth of this transient world. We, Quranists, quote the Quranic verses and apply them as measure-sticks to judge such acts, deeds, and words in hope of urging such people to repent and of clearing the name of Islam and to refute distortions added to it by such terrorists and their clergymen. 4/2: As for dead people, such as historical figures like pre-Umayyad caliphs and the so-called companions of Prophet Muhammad, we know nothing about them except what is written in historical accounts about them, authored by those who believed in them. Such historical figures metamorphosed into deities of Sufis, Shiites, and Sunnites in their creeds. We research such historical figures relying on principles of historical research, as per our qualifications and specialty in the Cairo-based Al-Azhar University. We expose what is not widely known to most people about history of such deified figures, as they had used the name of Islam in their conquests, which were crimes of aggressions. As such figures became deified mortals and creatures to Sufis, Shiites, and Sunnites in their creeds, Islam is tarnished by their crimes, massacres, aggressions, looting, and tyranny. Hence, we, Quranists, had nothing but to judge their deeds and words using the Quran, in order to clear the name of Islam (the religion of peace, freedom, and justice) from crimes committed by such caliphs and companions who perpetrated the crime of conquests. 4/3: As for dead people among the imams of Shiites and Sunnites as well as saints of Sufis, we write about their history as per writings of their followers, using principles of historical research, as per our qualifications and specialty as well to study their books and writings. We do not care for the dead persons themselves; for example, we do not care for Al-Bokhary as a person, as we are concerned with refuting his book of several volumes. The same applies to Malik Ibn Anas and his tome called (Al-Muwata'), Al-Ghazaly and his book (Ehiaa Oloum Eddine), and Al-Shafei and his book (Al-Umm), and so on and so forth. The reason: such books, volumes, and tomes claim to talk in the name of Islam and ascribe to Prophet Muhammad, a century after his death, notions, hadiths, laws, and rules written in them. We, Quranists, quote the Quran as measure-stick to judge such notions and hadiths to clear the name of Prophet Muhammad and the name of Islam, our great religion, from man-made, fabricated legislations ascribed to them and that tarnished their names and reputation. 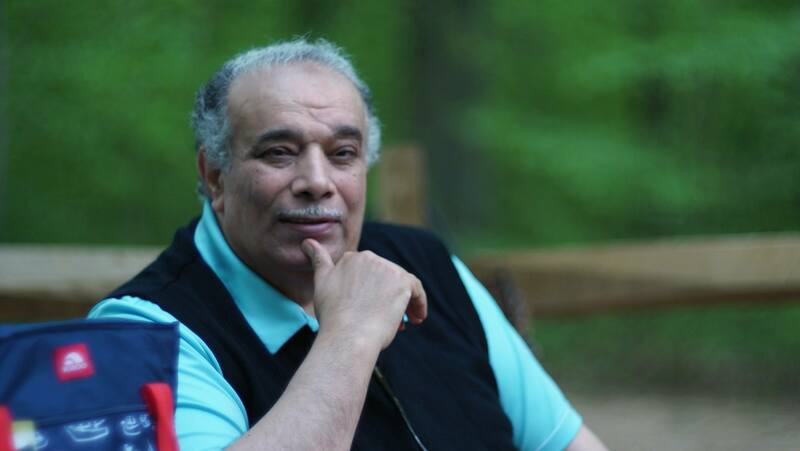 4/4: In all our reform endeavors, we, Dr. Ahmed Subhy Mansour, do not claim having the absolute truth; we offer our writings and fatwas to be discussed, criticized, and commented upon. We assert many times that notions we propagate might be right or wrong, despite our 40-year experience in our specialty and the thousands of articles, fatwas, books, and researches. 4/5: In all our reform endeavors, we, Dr. Ahmed Subhy Mansour, do not impose our views on anyone; we just present what we deem and consider as the truth, never imposing it. We respect the right of every single individual in having their own belief or thought or even lack of it. After calling for reform, we utter words of prophets to their people that declare personal freedom of actions and words: "Say, "O my people! Work according to your ability, and so will I." You will come to know to whom will belong the sequel of the abode." The wrongdoers will not prevail." (6:135). ""O my people, do as you may, and so will I. You will know to whom will come a punishment that will shame him, and who is a liar. So look out; I am on the lookout with you."" (11:93). "And say to those who do not believe, "Act according to your ability; and so will we, and wait; we too are waiting."" (11:121-122). "Say: "O my people, work according to your ability; and so will I. Then you will know. Who will receive a humiliating punishment, and on whom will fall a lasting torment. "We sent down upon you the Book for mankind in truth. He who follows guidance does so for the good of his soul. And he who strays in error does so to its detriment. You are not their overseer." (39:39-41). 4/6: We, Quranists, waits for God's judgment in the Hereafter on us and on them (the non-Quranists), as we believe in the fact that religious differences will be judged only by God, the Almighty Omniscient Creator of everything: "Say, "Our God, Initiator of the heavens and the earth, Knower of all secrets and declarations. You will judge between your servants regarding what they had differed about."" (39:46). 4/7: We, Dr. Ahmed Subhy Mansour, are the first thinker in the 1990s in Cairo, Egypt, to refute the falsehood of the so-called ''punishment of apostasy'', asserting the absolute freedom of speech, expression, belief, and thought as per the only true source of Islamic sharia legislation: the Quran itself. All this is about our peaceful call for reform that aims to clear the name of Islam from sins of Muslims and to save them from current bloodshed and possible bloodshed to come. Sadly, such dialogue with our foes and opponents in faith has stopped long ago, as it has always transformed into debates over Quranic verses, while God prohibits debating His Quranic verses. Islam in the Quran has its refined elevated style of discourse, dialogue, and address, as God teaches us through Quranic verses how to hold dialogues with others. 2- There are many Quranic verses that assert this postponed judgment in the Last Day, as these ones addressed to Muhammad himself: "But if they dispute with you, say, "God is fully aware of what you do." God will judge between you on the Day of Resurrection regarding what you disagree about." (22:68-69). This is arguing and debating in the best possible manner that Muhammad learnt from the Quran: "Invite to the way of your Lord with wisdom and good advice, and debate with them in the most dignified manner. Your Lord is aware of those who stray from His path, and He is aware of those who are guided." (16:125), even in dealing with People of the Book, God has said this to Muhammad and all believers: "…Had God willed, He could have made you a single nation, but He tests you through what He has given you. So compete in righteousness. To God is your return, all of you; then He will inform you of what you had disputed. " (5:48). 3- In the field of the reform call using the Quranic guidance, we are to make Quran the sole criterion to judge the gap, or rather abyss, of contradiction between Islam and the realities of the Muhammadans who deem themselves as Muslims, and here lies the big problem; most ''Muslims'' that we call Muhammadans repeat habits and words of most people in the pre-Islamic era: sanctifying tombs and dead mortals, things, locations, and the so-called saints or holy dead men and women, the belief in intercession, slaughtering animals or giving money not for God's sake but for a patron-saint, etc. Thus, sadly, all Quranic verses that deal with polytheism and disbelief describe apply to most ''Muslims'' of our age and those we know about in ancient eras in their books of history as well as heritage and traditions. We, Quranists, are to call them to the Quranic Truth using the Quran to judge their beliefs, words, and deeds. This method does NOT declare others as disbelievers or infidels; rather, this way describes deeds, notions, and words while quoting the Quranic verses as proofs. Hence, Quranists would say that those who do or say such and such thing are deemed in the Quran as …etc., while calling people to read the Quran without relying on traditions and inherited notions to understand it correctly while seeking guidance. After Quranic explanation, we leave people to choose for themselves, while keeping peace and still being friends with them as long as they do not impose their faith on us and would not harm us because of differences in faith and beliefs. Foes and opponents of Quranists could not refute us or even respond to us; as they grew tired of verbally abusing us and leveling so many accusations against us, they finally accuse us of declaring non-Quranists as disbelievers, such as ISIS terrorists declare others as apostates. They think they will terrorize us using such false accusation so that we remain silent, while ISIS terrorists and their likes expand all over the globe with no voice to refute their crimes as disbelief. But we, Quranists, will remain on our route of reform, and we say to our foes and opponents: "…Act according to your ability; and so will we, and wait; we too are waiting."" (11:121-122).